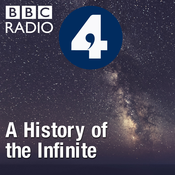 Adrian Moore reaches the end of his journey through two and half millennia of philosophical thought about the infinite. In the final episode, he comes to the conclusion that his voyage through the worlds of philosophy, theology, mathematics and cosmology has in the end led him to ourselves and our place in the universe. With the help of writers and philosophers as diverse as Rene Descartes, Ludwig Wittgenstein and Iris Murdoch, Adrian returns to the theme of our finite nature and how that is fundamental to our sense of what is infinite. He considers the relation between the infinite and the transcendent and examines where the desire to look for something beyond ourselves belongs in a secular society. Throughout the series, Adrian and his cast of philosophers have made connections, performed calculations and looked up at the stars in their attempts to clarify what we mean by the infinite. But, his history tells us, it all comes back to us and how we relate to what surpasses our finite nature. A Juniper production for BBC Radio 4. In his series on thought about infinity through the centuries, Adrian Moore has considered the topic through the lenses of philosophy, theology and mathematics. Now, as the series reaches the penultimate episode, the focus is firmly on us. Adrian ponders our finite nature and confronts the question of whether, if we could, we really would want to live for ever. He brings us the Czech composer Janacek's opera, with its eponymous heroine Elina Makropulos. Her father, the court physician, has procured an elixir of life for her but, far from making her eternally happy, her long life has become unbearably tedious. Some philosophers fully sympathise with Elina Makropulos and celebrate our finite nature. Others lament it. But as Adrian discovers, there is consensus on one point - the fact that one day our life will end doesn't rob it of meaning. Indeed, it is our very sense of our own finite nature, argues John Cottingham, Professor Emeritus at Reading University, that produces what St Augustine called 'the restlessness of the human heart' - our constant desire to reach out for more. A Juniper production for BBC Radio 4. Does space go on for ever? Are there infinitely many stars? These are some of the questions Adrian Moore explores in the eighth episode in his series about philosophical thought concerning the infinite. With the help of the theories of the Ancient Greeks through to those of modern cosmologists, Adrian examines the central question of whether our universe is finite or infinite. For most of us, looking up at the stars gives us a sense of infinity but, as Adrian discovers, there is a strong body of opinion which suggests that space is finite, albeit unbounded. This is a difficult idea to grasp, but by inviting us to think of ourselves as ants, astrophysics professor Jo Dunkley attempts explain it. Adrian also tackles the idea of the expanding universe and the logic that leads cosmologists to argue that it all started with a big bang, and may all end with a big crunch. Finally, we discover from cosmologist John Barrow how the appearance of an infinity in scientists' calculations sends them straight back to the drawing board. The infinite, which the Ancient Greeks found so troubling, has lost none of its power to disturb. A Juniper production for BBC Radio 4. Adrian Moore's series on philosophical thought on infinity finds him mired in a near meltdown in mathematics. In episode 7, Adrian tells the story of the controversy caused by the work of the German mathematician, Georg Cantor, on the infinite. In a world of paradoxes, we meet the nun who cannot decide whether to pray for herself. 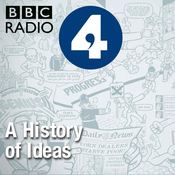 Her dilemma is beautifully explained by Marcus Giaquinto, Emeritus Professor of Philosophy at UCL, in conversation with Adrian. And we find out how an associated paradox, first posed by one of the giants of twentieth century philosophy, Bertrand Russell, devastated the career of another German mathematician and philosopher. The arguments of the early twentieth century no longer plague modern mathematics in the way that they did. As Adrian explains however, by subjecting the infinite to formal scrutiny, mathematicians have ended up confronting puzzles at the very heart of their discipline. A Juniper production for BBC Radio 4. Adrian Moore continues his exploration of two and a half millennia of philosophical thought on infinity. In episode six, we meet the brilliant but tortured German mathematician, Georg Cantor, who devised a way of distinguishing between infinitely big numbers and of performing calculations with them. His work was revolutionary but, as Adrian discovers, it greatly polarised opinion amongst his late nineteenth and early twentieth century contemporaries - and we hear how Cantor himself suffered a complete breakdown in his mental health. 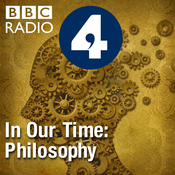 As Adrian takes us with him deep into the world of infinite set theory, he enlists the help of Mary Leng, Senior Lecturer in Philosophy at York University, and four very familiar twentieth century friends. A Juniper production for BBC Radio 4.